When it comes to Formula 1, the notion of ingenuity is not lost in the sport. The 1960s through to the 1990s were eras where some of the most drastic advancements revolutionized the sport. From rear-mounted engines, aerodynamic aids, turbochargers, right up to computer-controlled suspension, the progress either became a benchmark or such a threat it was banned from the Formula 1. The search for the extra amount of track performance now transpires on a more sudtle scale as the decades of innovation has pressed the motorsport sanctioning body to develop strict regulations. 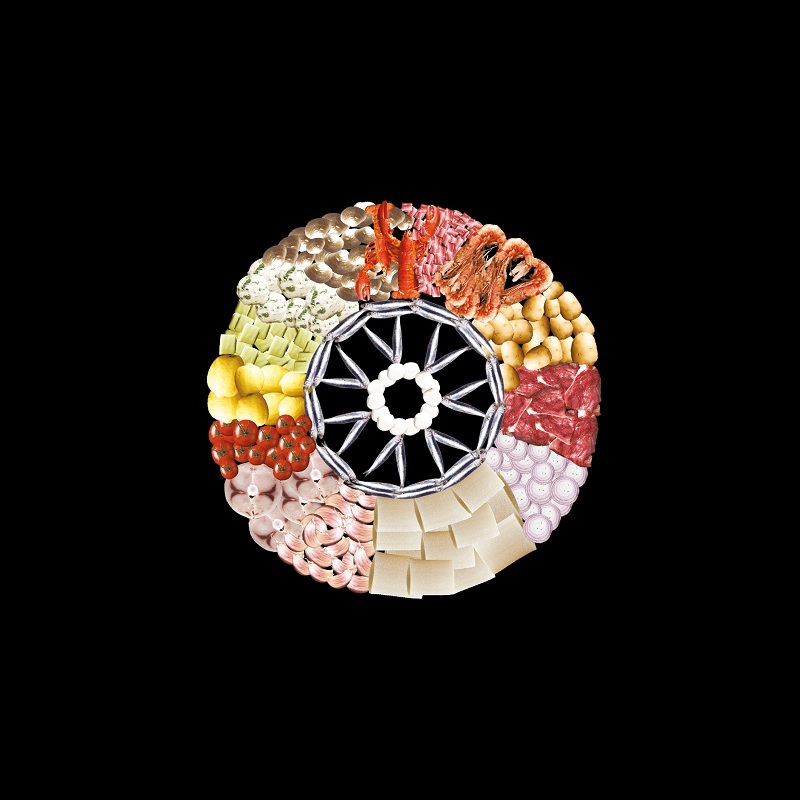 Defining human creativity, Formula 1 has merged with culinary arts highlighted inside of a unique, upcoming book from Pirelli. 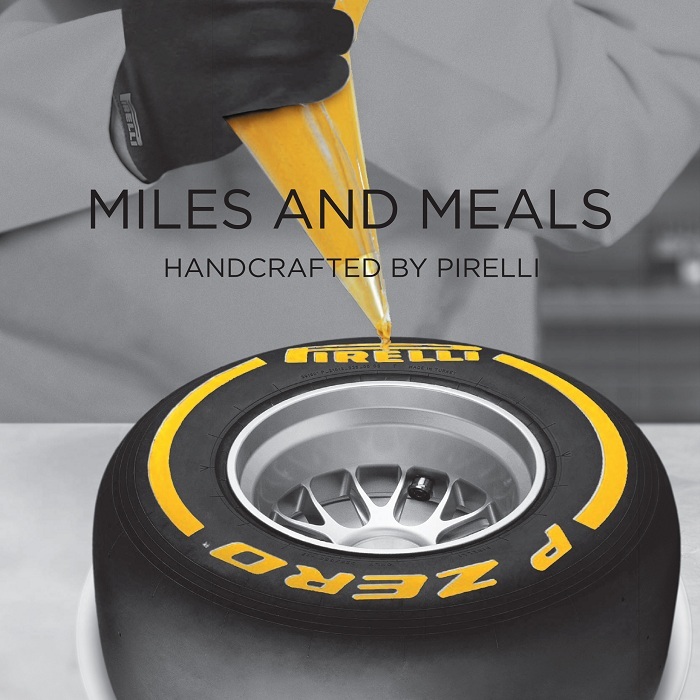 Inside of a limited edition book called Miles and Meals – handcrafted by Pirelli”, Pirelli's hospitality motorhome that attends Formula 1 races and test sessions has realized the spectacle of the premier open wheel racing in the form of food. Organized under the guidance of hospitality manager Cristian Staurenghi and crafted with the culinary masterpieces of head chef Fabrizio Tanfani, the "Miles and Meals – handcrafted by Pirelli” book will detail recipes of fine food delight. 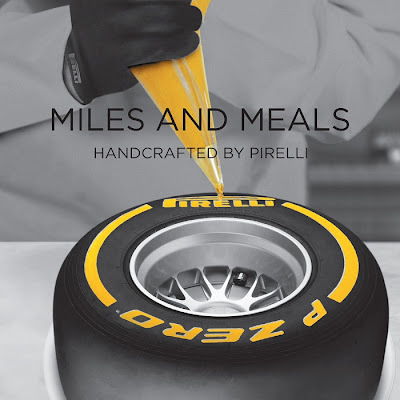 Tire company Pirelli likens the recipe book to their core business in formulating tire rubber compounds. Perhaps the most drawing component to this cookbook is the photographs depicting food assembled in the images of Formula 1. Cars, racetrack and racing symbols such as the podium have been sculpted through recipes. 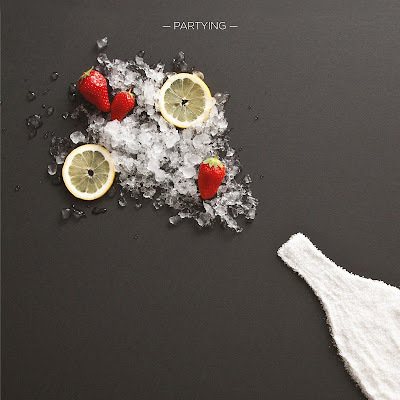 Sea salt becomes a sand trap and basil leaf becoming a green light are some examples for how ingredients double in providing taste as well as artistry to dishes. For what could be the most eye-catching, an octopus takes the role of a mechanic in one recipe. 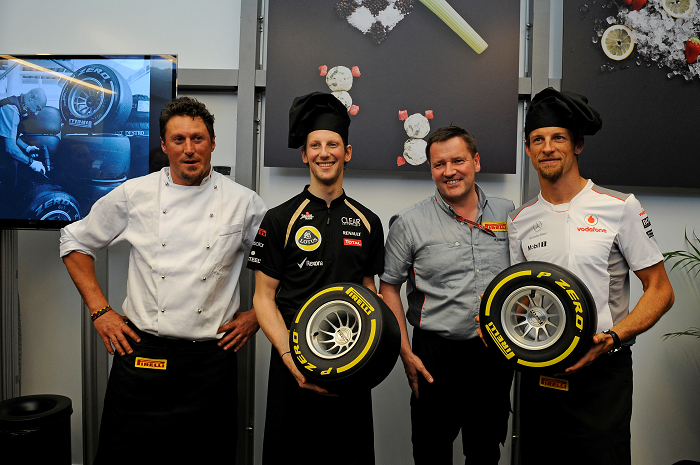 At Monaco, Formula 1 drivers Jenson Button and Romain Grosjean were guest celebrity chefs at the Pirelli motorhome to celebrate the pending launch of the "Miles and Meals – handcrafted by Pirelli”. 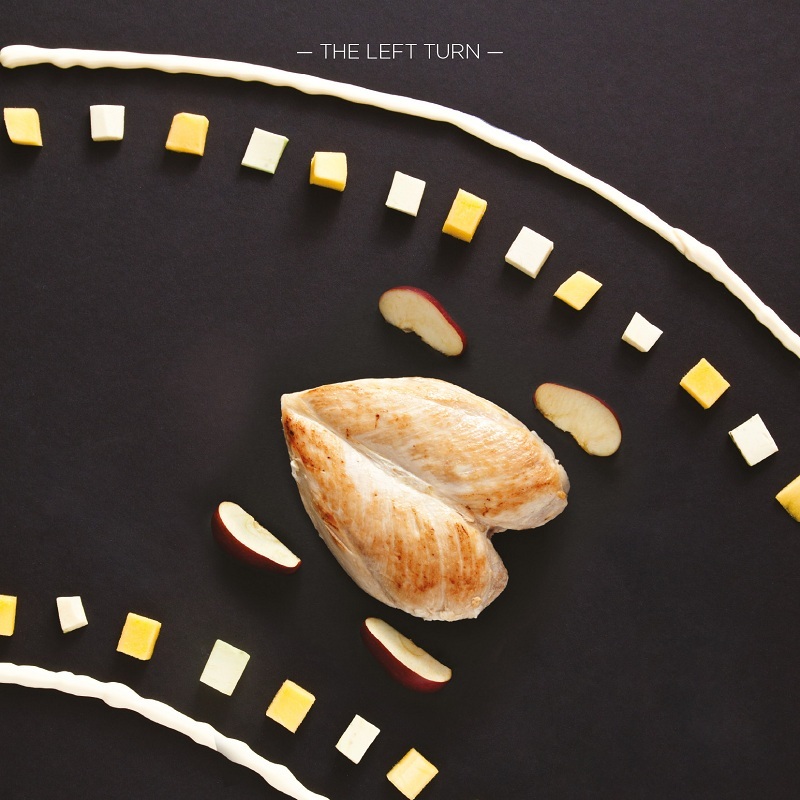 The recipes from this food compilation will be made available on the www.pirelli.com website in the near future. 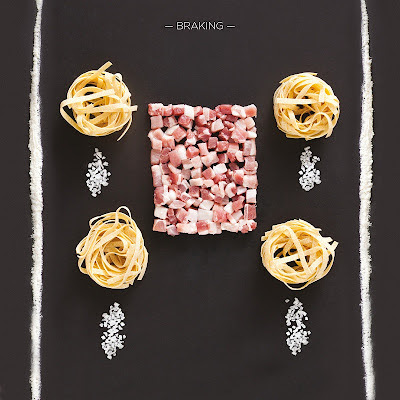 Included below are some of the culinary creations found with the "Miles and Meals – handcrafted by Pirelli” recipe book.